Our student athletes and I need your support to launch this new era of basketball. 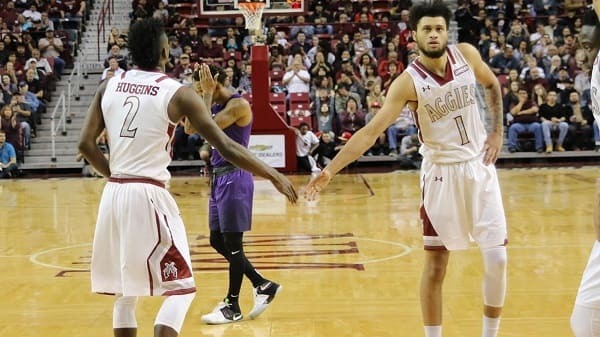 The Men's Basketball Team has been taken to new heights in a fresh start for our Aggie Men's Basketball program. We need our alumni, community members, and students to join the cause to help the Men's Basketball Team continue our success. Every donation made will go toward recruitment and program sustainability. Simply put, your contribution will help keep our team of student athletes competitive. 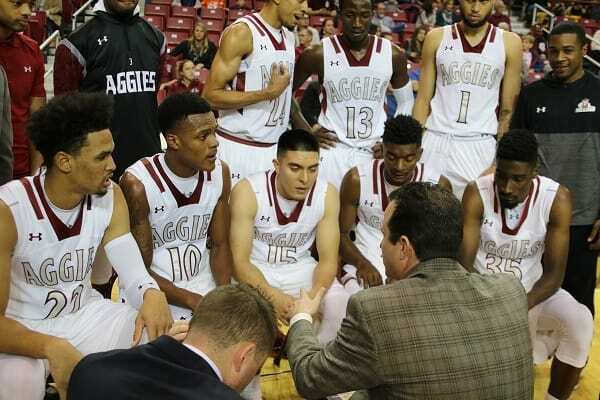 Your contribution makes an impact and gives our student athletes the competitive edge when recruiting talented students to join the Aggie Basketball family! Thank you for your contribution, we appreciate you joining the cause to keep the momentum going for our students.